Goodridge Stainless Steel Brake Line Kit. Fits 90-94 FWD/AWD 1G DSM's. 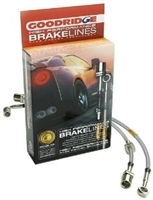 Goodridge Stainless Steel Brake Line Kit. 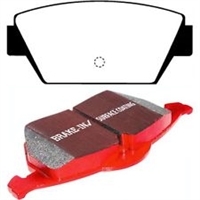 Fits 95-99 AWD/FWD 2G DSM's. Russell Stainless Steel Brake Line Kit. Fits 90-94 FWD 1G DSM's. 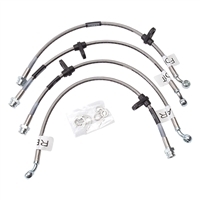 Russell Stainless Steel Brake Line Kit. 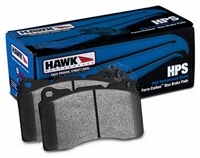 Fits 95-99 AWD/FWD 2G DSM's. The STM ABS Delete Kit includes everything you will need to remove the clutter and weight of your rusty, old, factory ABS system. Comprised of OEM components, high-quality fittings and stainless-steel, braided and coated lines. Power Slot slotted right and left front rotor pair. Fits (90-92) AWD DSM's. Power Slot slotted right and left front rotor pair. Fits (92-99) AWD DSM's. Power Slot slotted right and left rear rotor pair. Fits (90-94) AWD/FWD DSM's. These bushings help maintain better alignment while driving. 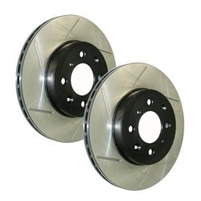 Full floating and non-binding, they also fit into the original control arms. 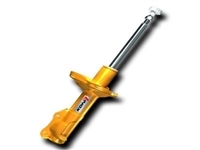 Koni Yellow Sport Adjustable Shocks/Struts for the 2G DSM. KYB AGX Adjustable Shocks/Struts for the 1G DSM. KYB AGX Adjustable Shocks/Struts for the 2G DSM. 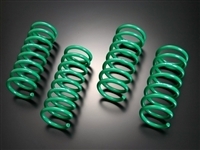 Tein S Tech springs for the FWD 2g DSM offer an approximate 1.5" drop for a more aggressive appearance and better handling. Feal has successfully created a coilover solution that is very well priced and offers unsurpassed performance. The Feal 441 Coilover is a one-way adjustable monotube damper equipped with a genuine Japanese Swift spring. Feal has successfully created a coilover solution that is very well priced and offers unsurpassed performance. The Feal 441 Coilover is a one-way adjustable monotube damper equipped with a genuine Japanese Swift spring.